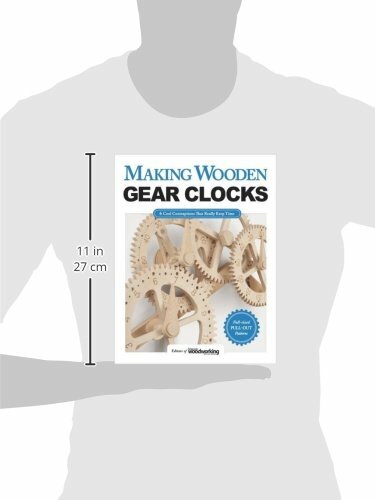 Making a piece of wood move is fun, but making it tell time is truly amazing! 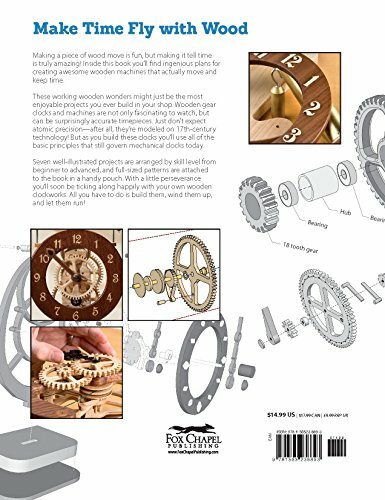 Inside this book you’ll find ingenious plans for creating awesome wooden machines that actually move and keep time. 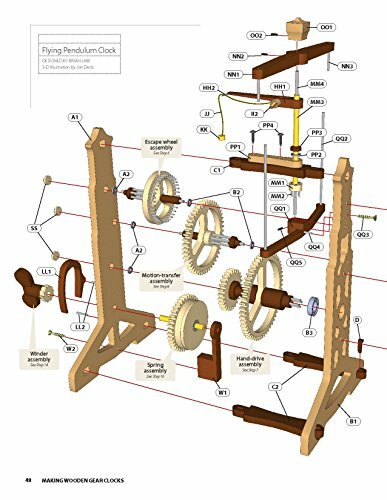 These working wooden wonders might just be the most enjoyable projects you ever build in your shop. 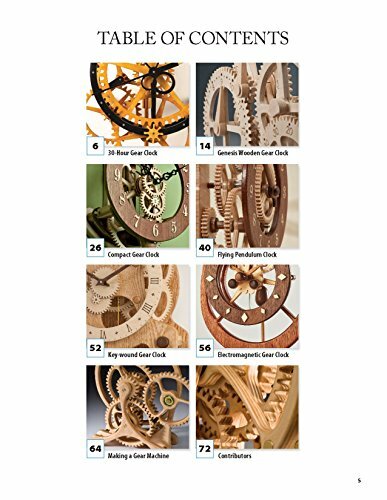 Wooden gear clocks are not only fascinating to watch, but can be surprisingly accurate timepieces. 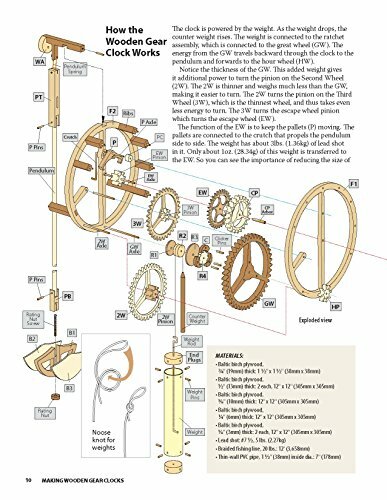 Just don’t expect atomic precision—after all, they’re modeled on 17th-century technology! 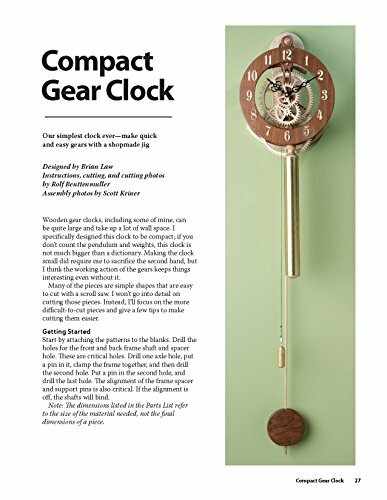 But as you build these clocks you’ll use all of the basic principles that still govern mechanical clocks today. Six well-illustrated step-by-step projects are arranged by skill level from beginner to advanced, and full-sized patterns are attached to the book in a handy pouch. 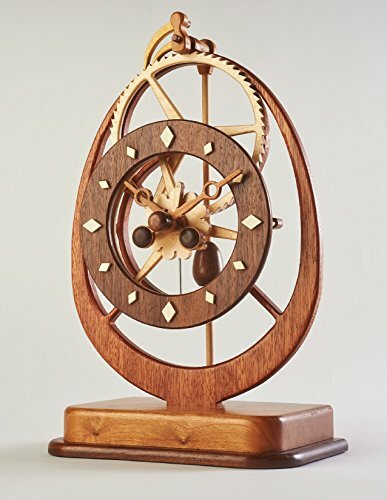 With a little perseverance you’ll soon be ticking along happily with your own wooden clockworks. 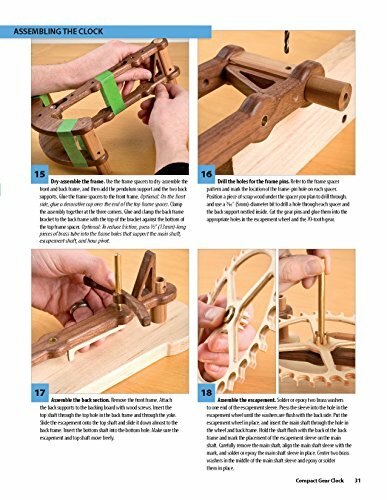 All you have to do is build them, wind them up, and let them run—no batteries required.